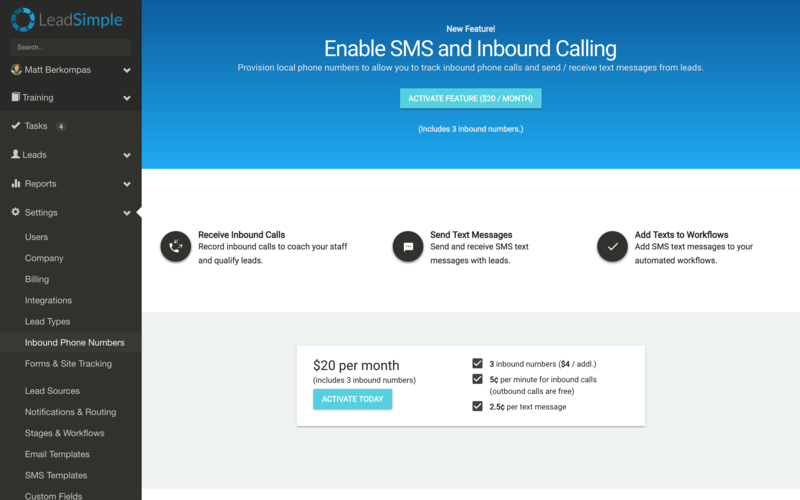 In addition to email and outbound call tracking, LeadSimple now allows you to send/track text messages and receive and record inbound calls from leads. Below are some instructions on how to set this up. 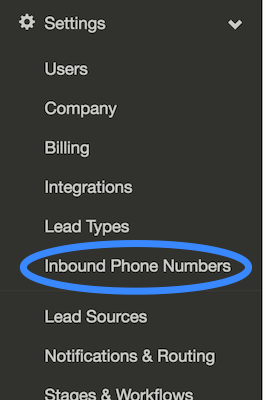 The first step before you activate the feature is to navigate to the Inbound Phone Numbers page under the "Settings" tab in the side bar. This will lead you to the following page which gives a brief overview of what this feature allows you to do and explains the additional pricing involved. 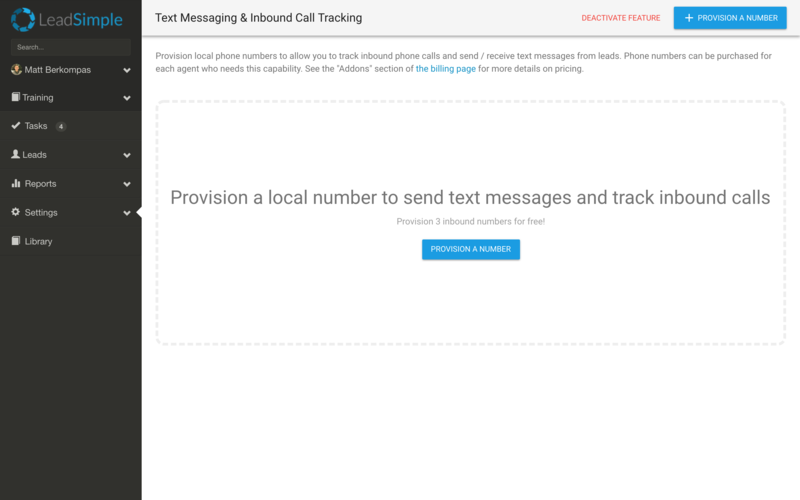 To briefly summarize what's written on this page, provisioning an number allows you to receive and record inbound calls from leads, send and receive text messages with leads and add text messages to your automated workflows. Keep in mind that activating the feature will include an additional charge on top of your current subscription so make sure you're comfortable with the pricing before activating it. Click one of the "Activate Feature" buttons to move forward. This will lead to the following page.